Congratulations to the boys and to Coach Clinton for earning First Place at Afrim’s Session 2 6 vs. 6 Indoor. We entered two teams and played in the Boys’ High School Division often facing much older opponents. The Boys were not slowed for a moment and brought in a combined record of 15-1 with 107 goals for and only 31 goals conceded. Outstanding effort boys….but it’s time to play outdoors!! Congratulations to the boys and to Coach Clinton for earning the Champions crown at the Manhattan Kickoff Classic 2018!! Great results against stout competition. Excellent way to get the season off to a rolling start! As we mercifully begin our move outdoors, the soccer commitments come thick and fast. The best way to keep up with it all is Teamsnap. 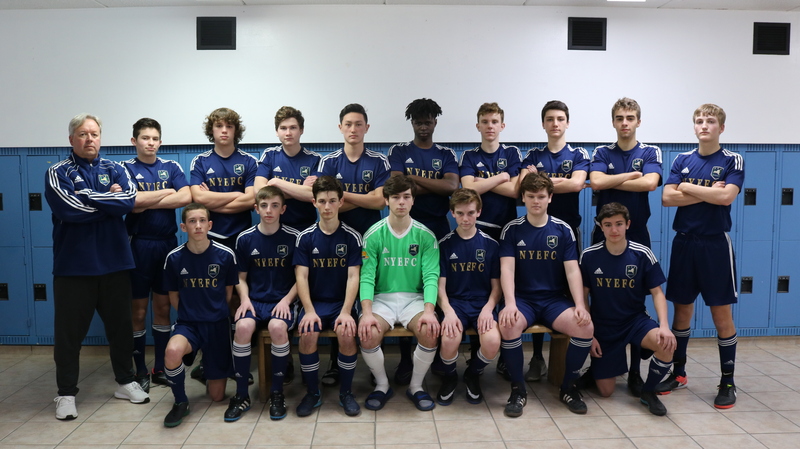 We owe Manager Harry Miller our sincere gratitude for keeping the boy’s Teamsnap page up to date and functioning; All the while making it look easy! Thank you Harry! Feel free to let me know if there are any news items you want posted and I will promptly post on your behalf.